All Secret Server Cloud customers benefit from an infrastructure and platform built to meet the requirements of the most security-sensitive organizations. We’re committed to preserving the confidentiality, integrity, and availability of our customers’ privileged account management workloads and assets. 100% isolation and encryption of all customer data both in-transit and at rest, using the AES-256 standard encryption algorithm and PBKDF2-HMAC-SHA256 hashing algorithm. Private encryption keys for each customer, with third-party key management support (AWS KMS). All Secrets are systematically “salted” before being hashed, and encrypted with their own unique Initialization Vector and Key. All connections to Secret Server Cloud are protected via Transport Layer Security (TLS). Distributed Engine communications are also secured with an additional encryption key unique to the tenant. All customer databases are continuously backed up every hour, with a transaction log backup performed every five minutes.  Thycotic undergoes an annual, comprehensive SOC 2 audit and adheres to NIST-based security response policies to score, resolve, and communicate any necessary security advisories in response to reported vulnerabilities or bugs. Secret Server Cloud is delivered from the hardened Microsoft Azure US-EAST, Germany-Central and Australia datacenters. Secret Server Cloud takes advantage of Microsoft Azure’s auto-scaling and built-in geo-redundancy, which generates three copies of each customer’s database, maintained across fault tolerant nodes to ensure continuous availability and facilitate swift disaster failover and recovery. Secret Server Cloud leverages Microsoft’s latest threat management and mitigation protocols, including intrusion detection, denial-of-service (DDoS) attack prevention, anti-malware, penetration testing, and analytics and machine learning tools to help mitigate threats. Azure architecture meets a broad set of international and industry-specific compliance standards, including General Data Protection Regulation (GDPR), ISO 27001, HIPAA, FedRAMP, SOC 1 and SOC 2.